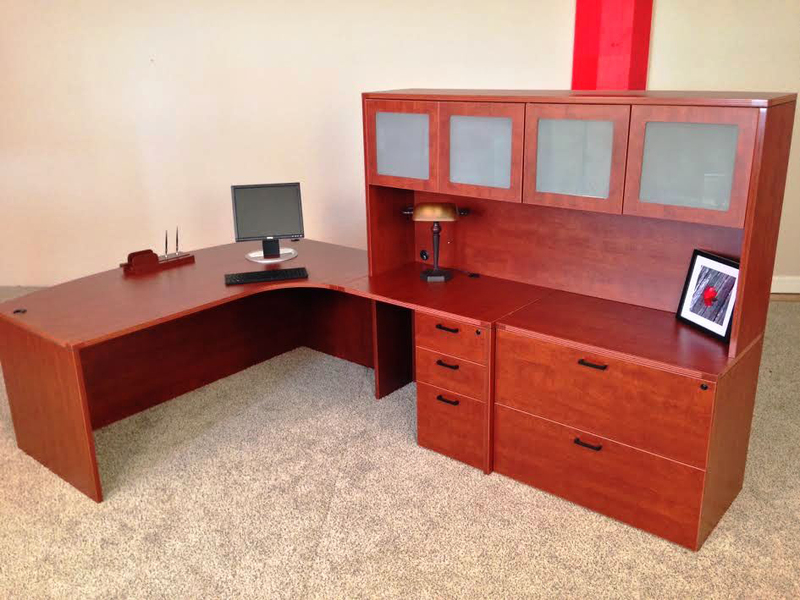 72" x 120" bowfront, curved corner L-shaped desk with locking box/box/file pedestal, 71" storage hutch and 2-drawer lateral file. The inside radius corner allows for an ergonomic workflow and multiple monitors. Must specify left or right handed.